-- Safety plans. Every company needs one, but do all companies have them? While many organizations put together an initial safety plan, they often don’t update it, and more importantly, enforce it, leading to workplace injuries. This lack of effort and attention to detail is especially concerning with recent studies behind it. The U.S. Bureau of Labor Statistics shows that more than 4 million workers suffer serious job-related injuries and illness each year from everyday accidents to larger emergency related ones. Workers’ comp injuries in Iowa are an unfortunate result of dangerous workplace conditions. 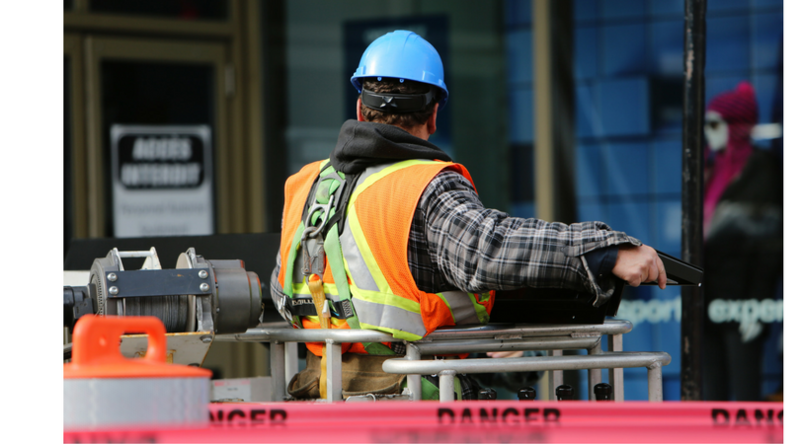 Looking further into the causes of injury-related occurrences in the workplace, another large area many companies struggle with is creating an operative budget that covers safety supplies and imperative employee training. The amount generally spent in this area, normally is not significant when compared to others, but the lack of a specific safety budget is a cause for concern. A safety culture incorporates values used by management and workers to determine how they behave and operate at work. Workplace safety plans spread across every department, so it's important to secure the support and engagement of each sector of a company. One great place to start is by conducting a risk assessment of the workplace focusing on potential high-risk scenarios. This should build a framework for a safety program by conducting a hazard analysis, assessing current safety initiatives, and becoming familiar with the tools and equipment appropriate to have on hand. The U.S. National Safety Council estimates that a direct cost work-related injury (that includes some form of disability) is $54,000. Assuming the indirect cost is four times this amount, the total would be nearly $270,000. To put that in perspective, say a company has 750 employees, an average of eight of those workers will suffer a nonfatal (but disabling) injury within a year, bringing the total cost to $2,160,000. This does not even take into account the $52.5 million assessed in penalties by the U.S. Occupational Safety and Health Administration for safety violations, with the most frequently cited standards violated including fall protection, hazard communication, and respiratory protection. A crucial element of employee engagement is education itself. Workers must understand what they should do to stay safe and prepare for routine incidents or emergencies. Not only should employees take safety training when they first get hired, but you should have a safety expert offer training periodically, at least once a year. This refreshes their memory and gives updates when new safety protocols are placed. In case of emergencies, facility managers need to educate employees on the appropriate protective actions for life safety whether these include evacuation, sheltering, shelter-in-place, lockdown or another action. Its always a good idea to encourage workers to improve their adherence to safety measures, as well as reinforce preventative practices through helpful signage in high-risk zones and email reminders. It's nice to imagine that every single employee will avoid safety-related incidents throughout the year, but that line of thinking is not realistic. What's essential is that companies reduce injury rates through early detection and problem-solving. When an incident occurs, companies should always respond immediately to care for their employee and take the necessary steps. Lastly, it's essential to keep close tabs on the frequency and severity of workplace injuries at regular intervals. Near-misses present an opportunity to identify a potential hazard and find a way to control it. Facility managers should look at accident investigations as process improvement projects, not fault-finding missions. If you or someone you know has been injured at work, working with a computer, Walker, Billingsley & Bair is here to help answer your questions. 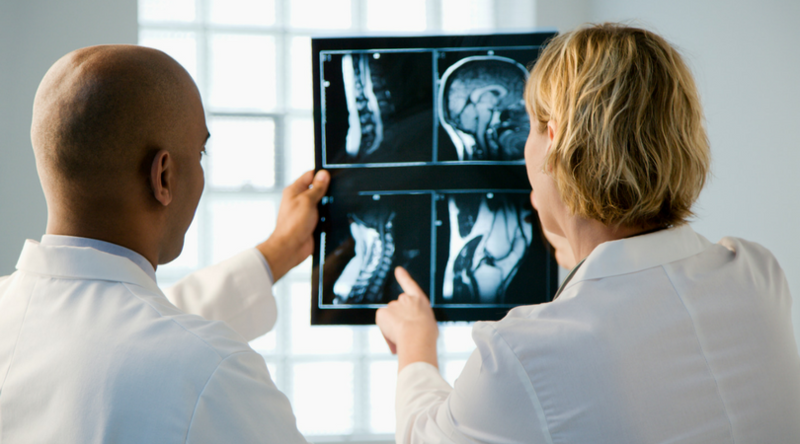 Iowa Workers' Compensation Attorney Corey J. L. Walker practices primarily in work injury law. He offers a book about Iowa work injuries at no cost, risk or obligation. 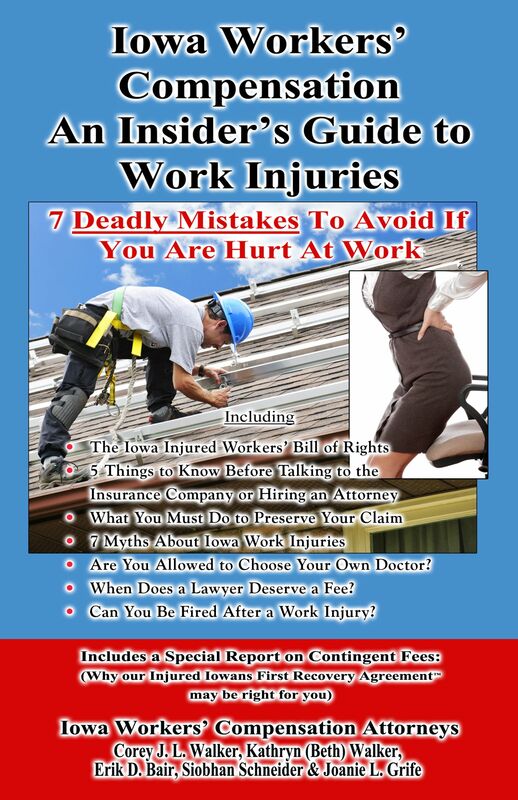 The book is called “Iowa Workers’ Compensation- An Insider’s Guide to Work Injuries” which includes 7 Deadly Mistakes to Avoid if You are Hurt at Work. To order your copy go to http://www.IowaWorkInjury.com or by Call Now 1-800-707-2552 (ext. 811) (24 Hour Recorded Message). Iowans hurt at work are beginning to realize that the insurance company is not there to help them and that they should learn about Iowa's workers' compensation laws. Finally, there is a book about Iowa work injuries that you can review in the comfort of your own home. For immediate assistance call 515-440-2852 and ask for Corey.